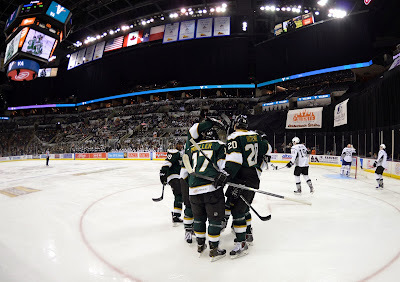 It's been a blustery past two weeks for the Texas Stars (21-10-2-3, 47 pts, No. 4 Western Conference), who were already being whipped about by injuries in Dallas, as they added a few more of their own to the mix. Most notably, after playing in one game, Jack Campbell is back on the injured reserve. It seems to be some residual soreness and issues from his earlier knee injury. Cristopher Nilstorp has gotten steadier after early year issues, going 6-1-1 since December 1. He was 4-8-1 in the preceding two months. Campbell, of course, was on a collision course with the No. 1 label for the Texas Stars. He's 5-0-0 with a 1.40 goals against average. If he can stay healthy, he'll keep that No. 1 job. Until then, it's good that Nilstorp has picked up his game.